The metabolic activity of microorganisms depends on many factors, including the ORP potential of the culture environment. Measuring the ORP potential allows the vessel operator to monitor the addition of reducing agents while ensuring that the potential is in the proper range for initiation of growth. It is also important to monitor the ORP potential just before inoculation. ORP sensors are most commonly used to maintain anaerobic conditions in a culture media. They can be used to measure trace amounts (<1 ppm) of dissolved oxygen, at levels that are too low for D.O. sensors. 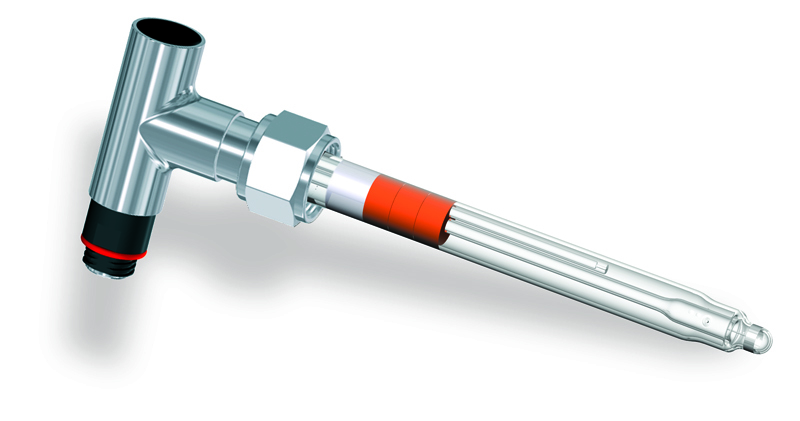 Sometimes used in steps performed downstream of the fermentation process, ORP sensors can monitor changes in concentration or the absence or presence of specific chemicals. Monitoring the ORP potential is an effective way of tracking chemical conversions in the process. The close regulation of ORP potential is crucial to allow efficient formation of disulfide bonds, which facilitate folding and the stability of the folded protein. Overly oxidizing conditions can result in misfolding due to the formation of incorrect bonds. Measuring the ORP potential is an effective way to determine its influence on the metabolic pathways of microorganisms. This is useful for substrate utilization or the production of specific metabolites. For a K9 cable connector use the F-995 Redox FermProbe instead. Choose Electrode Model – If the electrode needs to fit an existing cable, check the cable connector and note its color. If the cable connector is black and has an S8 connector, use the F-915 or F-935 ORP FermProbes. If the cable connector is red or orange and has a K9 connector, use the F-995 ORP FermProbe. Choose Electrode Length – If you have already chosen a housing, select an electrode length with the same Class designation as the housing. The housing ordering information box also lists the correct electrode length to order. If you have not already chosen the housing, please review the recommendations next to each electrode model below. Confirm Cable Length and Connector. Model F-915, F-935, and F-995 ORP electrodes require disconnect cable and connector assemblies. The term ORP is more commonly used for bioprocess applications in Europe and the U.S. 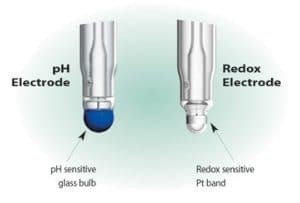 The term Redox is more commonly used for industrial chemical process applications in the U.S. The ORP potential of a media is related to the overall availability of electrons in the media, specifically the ratio of positive and negative ions in the solution. Note that ORP measurements vary significantly with changing pH.